I have it on good authority that it is, in fact, a bigfoot cave. So maybe Booth should pay better attention to his daughter. And, yeah, maybe Scout oughta quit yappin’ every once in a while to let Bigfoot get a word in. 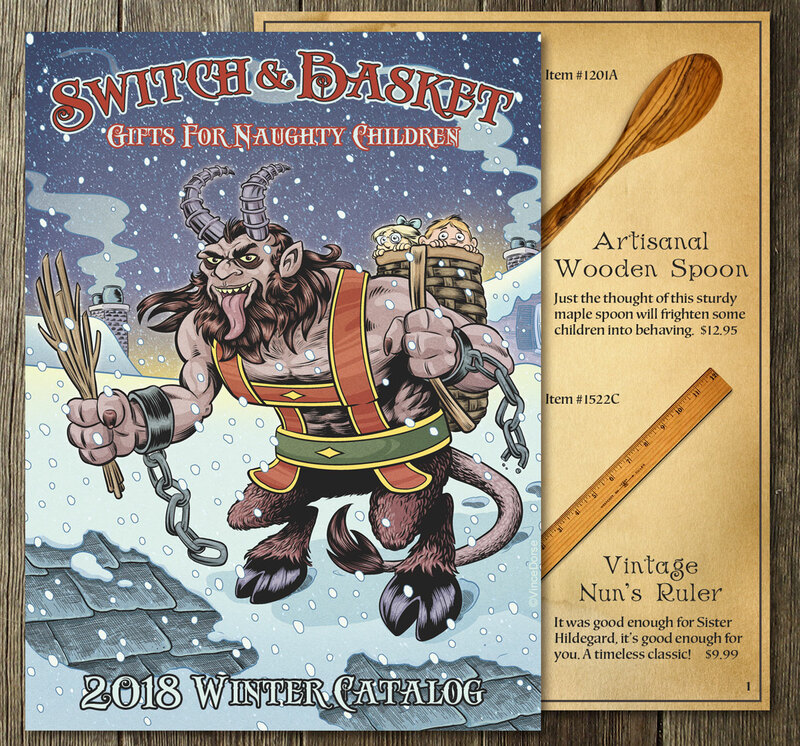 Last week I posted a sketch of The Krampus. 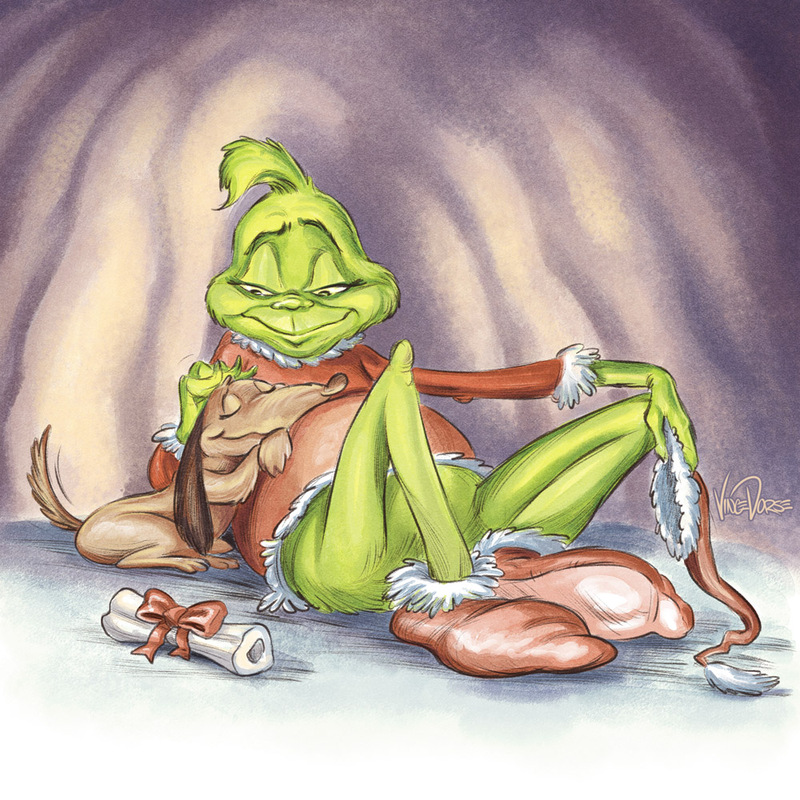 This week’s holiday monster is The Grinch. This is ‘post redemption’ Grinch, relaxing with Max in the way other friendly monsters might relax with their dog in their cave.